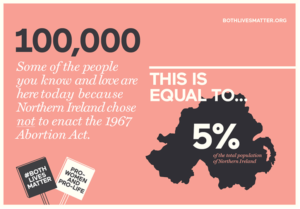 As a result of our unique law and culture, we estimate that there are over 100,000 people alive today because Northern Ireland did not enact the 1967 Abortion Act. Mothers, sisters, dads and brothers, friends, nephews and cousins. This is social justice. If like us you are pro-women, pro-life, pro-community, this is a cause to champion and celebrate. You can read the report in full here. Our claim was subsequently investigated and upheld by the ASA. All complaints against us; that our estimate was misleading, inaccurate and offensive were dismissed. 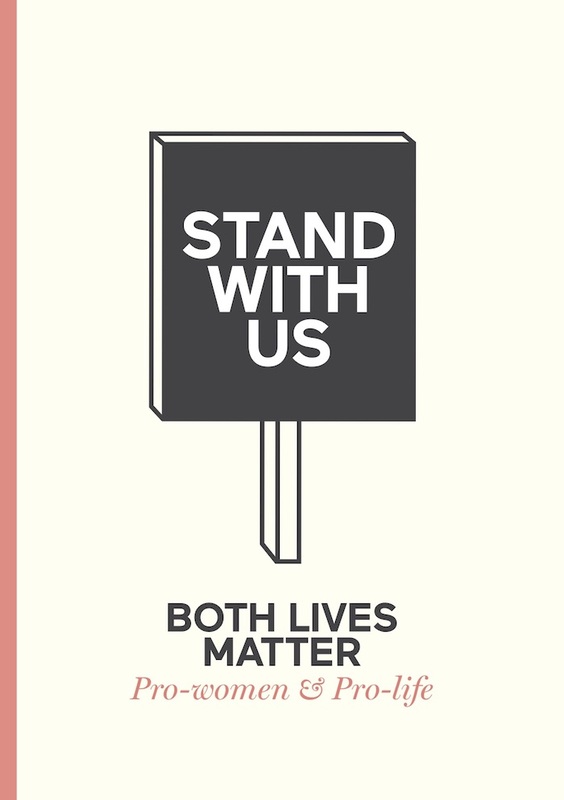 You can read here how Both Lives Matter and the Advertising Standards Authority arrived at this important conclusion. Since the 1967 Act, there have been over 8 million abortions in England and Wales. That's more than the population of the island of Ireland. So for every three children born, one was aborted. By the age of 45, one in three women will have had an abortion. In the last ten years, out of almost two million abortions, only four were recorded as for the purposes of 'to save the life of the mother'. Overwhelmingly, most abortions are for reasons of social/personal convenience. In 2014 in Northern Ireland there were approximately 50 abortions. Even if you add the 800 women who travelled to Great Britain to have an abortion and account for the use of illegal online abortion pills, the NI abortion rate per capita is still seven times lower than the abortion rate of the UK. 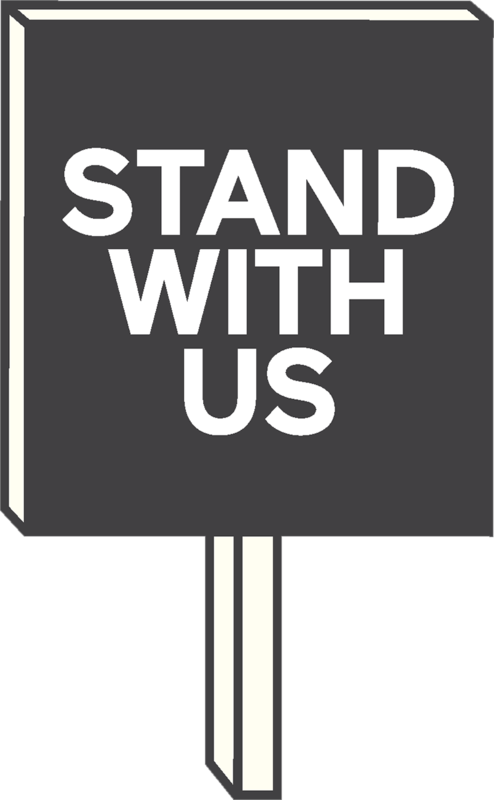 The World Health Organisation estimates that there are around 40 to 50 million abortions carried out each year around the world. In the UK, since the 1967 Act, there have been over 8 million abortions in England and Wales. That's more than the population of the island of Ireland. In 2015, in England and Wales there were 697,852 live births and 185,824 abortions, so for every three children born, one was aborted. By the age of 45, one in three women in England and Wales will have had an abortion. In the last ten years in England and Wales, out of almost two million abortions, only four were recorded as for the purposes of 'to save the life of the mother'. Overwhelmingly, most abortions are for reasons of social/personal convenience. 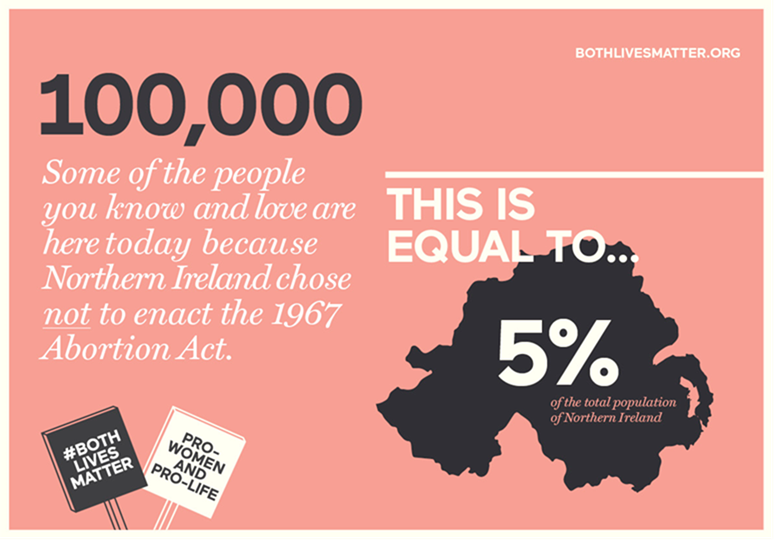 In 2014 in Northern Ireland there were approximately 50 abortions. Even if you add the 800 women who travelled to Great Britain to have an abortion and account for the use of illegal online abortion pills, the NI abortion rate per capita is still seven times lower than the abortion rate of the UK.